Beginning farmer Kate Edwards says, “Breaking into farming is hard and without support, impossible.” Many beginning farmers we talk to share this exact thought. This is why we are seeking valuable farmers to build our mentor pool. Mentorship places you in a position to positively influence those starting their farming journey. Time and again, well-practiced farmers tell us that having a mentor impacted their ability to be successful. We want to support you in becoming a role model and teacher for those just starting out in farming. Currently, we are looking to create a list of potential mentors to strengthen our program. Each year our class of farmers in the Savings Incentive Program are seeking mentors to support them along the way. Many past participants have cited this mentorship as being the most helpful resource in their journey as a beginning farmer. We would like to invite you to be part of this pool. If you could fill out this six-question survey, we will add you to this group. We will use this list to determine where mentors match with each class and event. 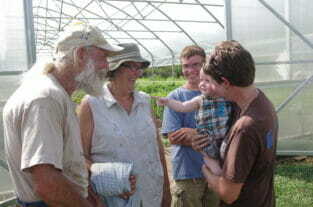 Beginning farmers in their first year of the Savings Incentive Program will attend at least two mentor farm visits. 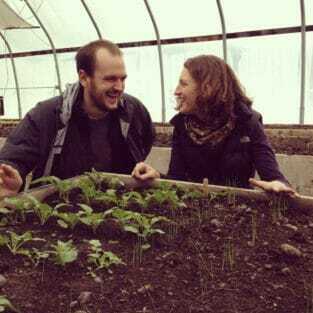 Groups will be small, anywhere from one to six beginning farmers. Mentor farms will vary from year to year, and will be selected based on several criteria such as marketing practices, farm size, production type, and location. Our goal is to match learning goals and vision of the SIP participants with mentors’ experiences. Each visit will include a farm tour and conversation between the mentor and the class members. SIP farmers will have the unique opportunity to learn from experienced farmers who are going through, or have experienced, similar challenges. From technical expertise to business know-how, mentor farm visits are a chance for these beginners to learn from someone else’s practices to help them define their own goals and approach. To start each farm visit, SIP farmers will share their learning goals, areas of interest, and opportunities with the group. Sharing these will help the mentor have a better understanding of who is in attendance which leads to idea exchanges over the course of your visit and possibly connections that will continue beyond. Beginning farmers in the second year of the Savings Incentive Program are paired with a mentor that will conduct a single on-farm visit at the mentee’s farm. The beginner will complete a questionnaire that will help PFI staff to determine which mentor will match best with their learning goals. The mentee will share these goals with the mentor prior to the visit. Together they will both determine a time for the visit. Beginners receive great value in having an experienced farmer tour their new farm and help guide them in manners such as land use, production placement, etc. Mentorship can provide a greatly gratifying and rewarding learning experience for both parties. When everyone communicates their needs clearly, offer feedback and build trust. Even an experienced mentor can continue to learn through the mentor process. Denise O’Brien shared “It’s a two-way street, I’ve learned so much from Amber too.” When talking about her mentorship with Amber Mohr. Clear communication is a two-way street, and active listening is as critical as thoughtful feedback and instruction. As a reminder each time you participate in these mentoring activities Practical Farmers will provide a stipend to reimburse you for your time and experience. If you have any questions or want to learn more about being a mentor or the mentoring opportunities please contact Greg Padget, Next Generation Director at greg@practicalfarmers.org or (515) 232-5661.